This year has been the worst on record for violence in schools with the highest incidents of K-12 school shootings since 1970, when records on school shootings begin, according to research published by the Center for Homeland Defense and Security in partnership with and sponsored by FEMA. As 2018 comes to a close, there have been 94 school shooting incidents across America, including Marjory Stoneman Douglas High School in Parkland, Fla., and Santa Fe High School in Texas. Gun violence at schools has been steadily increasing since 2011, with 2018 seeing more than twice the number of incidents in any given year. 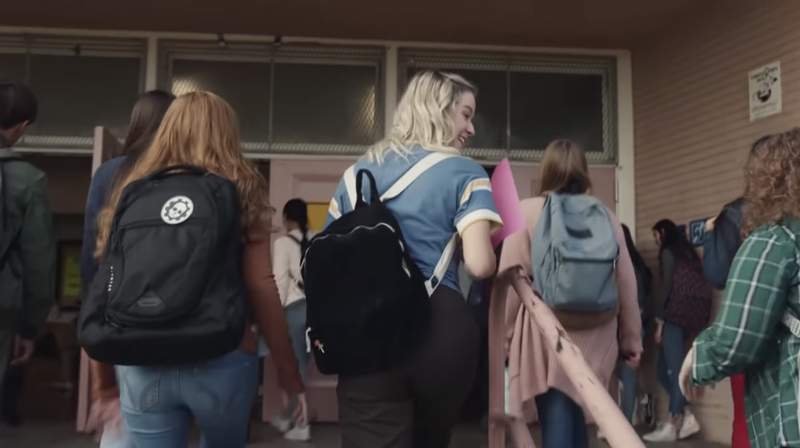 In response to this data and in honor of the 6th remembrance of the Sandy Hook School shooting, where 20 children and six educators lost their lives to gun violence, Sandy Hook Promise (SHP) debuted its latest PSA, “Point of View,” a powerful video that reveals the many warning signs and signals exhibited by an at-risk individual that can lead to gun violence – signs that SHP wants to train individuals to recognize and intervene upon before a tragedy can occur. “Point of View” portrays the world through the eyes of a high school student in the days leading up to the election of the student body president. While the scene is set with excited students in the hallways, there is a parallel story unfolding of a shooter who is planning an attack and exhibiting warning signs of impending violence. These signs happen amongst peers and educators who could have identified these signs and intervened before it was too late, underscoring the importance of knowing and identifying the warning signs and signals of someone at-risk for committing gun violence, which are often ignored or dismissed by others. SHP believes gun violence is preventable when one knows the signs and teaches people how to intervene before situations, like the one dramatized in this PSA, end in tragedies. An astonishing 80 percent of school shooters told someone of their plans prior to taking action – yet no interventions were made. To date, SHP has trained more than 5.5 million people from over 10,000 schools in all 50 states in its Know the Signs programs, which include Start with Hello, Say Something, Signs of Suicide, and Safety Assessment & Intervention. All are offered free-of-charge to schools and youth organizations across the country. Through these programs, SHP has helped avert multiple school shooting plots, firearm threats, and self-harm, as well as reduced incidences of bullying and helped many young people get the mental health services they need. An award-winning production team donated their time and talent to this PSA, in order bring as much awareness as possible to this critical issue, including Hollywood director Rupert Sanders and BAFTA Award-winning costume designer Jennifer Johnson. Creative agency BBDO New York created the PSA.